Using Formulas and Functions in Microsoft Excel is really a tough job for new students. This is a series of tutorials to make the use of Formulas and Functions in worksheets, easy with various real life example worksheets. Excel Formula is a proper combination of operators (like +, -, /, *) and operands. A formula is used to perform different types of calculations and gives result. For example a formula to add numbers in cells A1 and A2 will be typed as =A1+A2. Note: +, -, / and * are called arithmetic operators in Excel to calculate addition, subtraction, division and multiplication respectively. 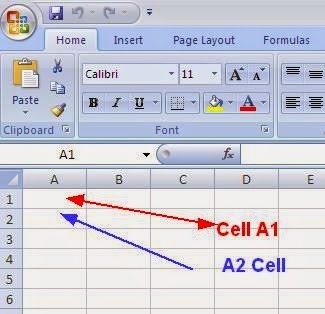 Note: A1 and A2 are the Cell References of two cells in worksheet. A1 represents the cell in Row number 1 of Column A Whereas A2 represents the cell in Row number 2 of Column A. A Cell Reference is a special Reference Number made by combining Column name and Row Number. 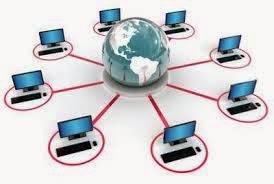 Actually a Cell Reference is used to access contents of a cell within a formula. 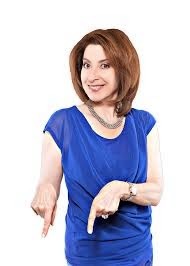 For example, "A1" is an example of Cell Reference. "A" is taken from column name and "1" is taken from Row number. Therefore the intersection cell of column A and Row number 1 is called "A1". Look at the above picture to understand the concept of Cell Reference and how it is made. How To Use a Cell Reference in a Formula? Start Microsoft Excel with a new blank workbook. Type 100 in cell A1 and 200 in Cell B1. Now you want to add the two numbers typed in the cell A1 and B1 respectively. 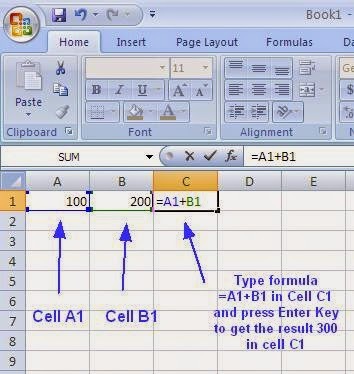 You must enter a formula using Cell References of both these cells. 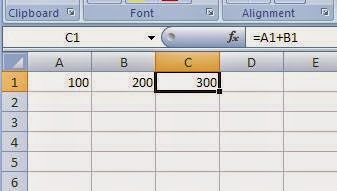 Every formula in Excel can be started with an equal sign =. Now type "=" then type cell reference A1. Type + operator ( by pressing Shift and equal to key together ). Now type cell reference B1. Press Enter key. The result of addition will be displayed in cell C1 which is 300.